President Duterte’s daughter stressed she’s not calling the shots in the House, and that she would rather keep her job as mayor and chair of regional party Hugpong ng Pagbabago. She is running unopposed for reelection in May. 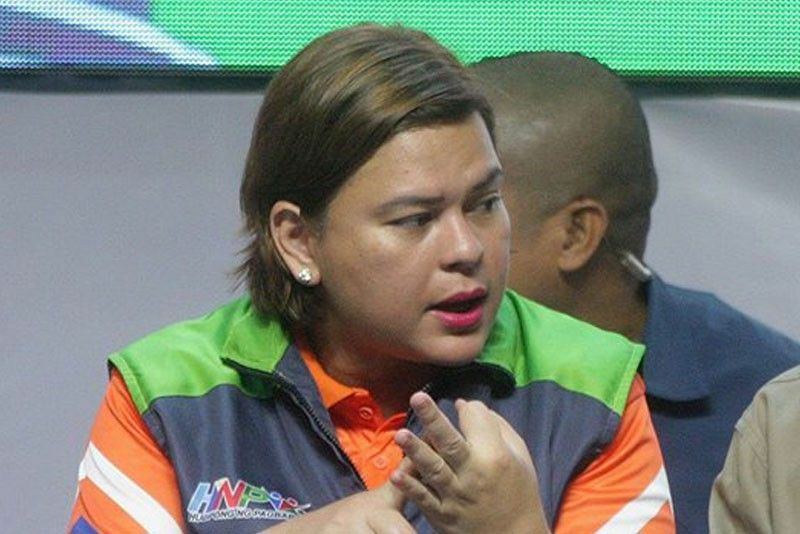 DAVAO CITY, Philippines — After sparking controversy over her mentioning three names as possible replacement for Speaker Gloria Macapagal-Arroyo, Davao City Mayor Sara Duterte-Carpio clarified yesterday that it was up to the chamber to choose its leader. Carpio had mentioned former foreign affairs chief Alan Peter Cayetano, former Leyte congressman Martin Romualdez and Marinduque Rep. Lord Allan Velasco as the possible speaker in the next Congress. The mayor maintained that her endorsement would not carry much weight since it’s the congressmen themselves who will choose their next speaker. But what’s important, she said, is the next speaker’s commitment to her father’s advocacies and programs. She also made it clear that if there is anyone who should not be allowed to assume the post of speaker, it should be Davao del Norte Rep. Pantaleon Alvarez, whose ouster last year she reportedly engineered.